As we know, the main goal of Revenue Management is to sell the right product to the right customer at the right time and for the right price, with an ultimate goal to maximize the bottom line (the final profit). “The right price” is found through Dynamic Pricing, which should be the central element of every property’s Revenue Management strategy. Effective Revenue Management requires a lot of forecasting. In order to be successful, it is necessary to be able to estimate approximate demand level for every day in the future, at least 365 days ahead, and price your hotel room accordingly. One of the biggest advantages of Dynamic Pricing concept is the ability to adjust to the real demand fluctuations, even if your initial forecast was inaccurate. The basic concept behind Dynamic Pricing in Revenue Management is simple: a hotel room should be priced based on supply and demand inter-correlations (equilibrium price). 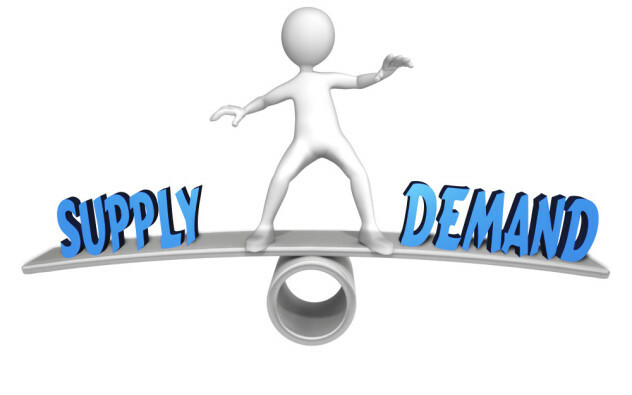 In general, room rates should be increased when demand exceeds supply (to capitalize on ADR) and lowered when demand is weak (when it is necessary to increase occupancy). Proper pricing adjustments (daily or even hourly), which take existing demand into account, are the key to increased profitability. 1. “Macro” level - external market data (in the form of published rates of all hotels in the area/region, as well as observed volume of searches/bookings for future dates in this region). Published rate information can be obtained through various rate shopping tools. There’s no shortage of those in the market right now. OTA’s also have vast amounts of this data and they’re now willing to share this information with their partners and individual hotels. 2. “Micro” level – internal hotel data (in the form of daily statistics, booking pace, etc). This data is only available on the hotel level, through access to the property’s PMS system. There’s also the third kind of data that many hoteliers refer to when speaking about Dynamic Pricing. I call it “the noise”. It includes: weather conditions, reputation scores, gas prices, air fares… The list is long but what these items have in common is the following: if you try to take any of those into account, you’ll just end up distorting your calculations. These factors do affect the equilibrium market price but their impact is already reflected in the first two major data types above. So no need to count them twice. 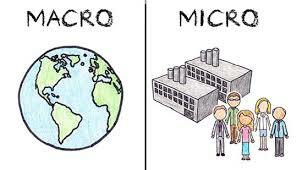 Now, let’s take a closer look at the Micro and Macro levels of data. Both are important (though, not equally) when making pricing decisions for future dates. OTA’s have vast amounts of external market data, like detailed information about published prices for any day in the future. This is what normally goes in the algorithms that are built in their pricing intelligence tools, to calculate the recommended room rates. However, if used alone, without the second group of internal hotel data points, it can’t provide adequate pricing recommendations. “Compset-oriented pricing” is quite far from the optimal strategy that hotels should use when making their revenue management decisions (see more details on the subject in this article). There are a few questions you have to ask yourself. Have you picked the right compset for your property? What IS the right compset? There’s really no such thing. Your compset changes from day to day, from season to season, it also changes based on the market segment (for example, leisure travelers will consider one set of hotels and convention attendees will review a whole different number of properties, and your property may be a representative of both). Do your competitors really know what they’re doing? Is it really worth following them? These are the reasons why compset-oriented pricing should never be used alone. OTA’s also assess market demand strength based on the volume of bookings they receive for a particular region and the number of searches for specific dates in the future, which is also a very important piece of the puzzle. But again, should only be used in conjunction with the rest of the data. As discussed above, it is important to be aware of the rates that your competitors are publishing for any given day in the future. However, in many cases, blindly following their prices draws you away from the optimal market price (equilibrium price that is based on real supply and demand), and actually can drive your RevPAR down in many cases. That is why, in order to calculate optimal pricing decisions, you need to have access to instant on-demand internal hotel data (number of vacant rooms by room type, groups on the books, OOO rooms, overselling capacity, booking pace, etc.). This will help you consider the property specifics and adjust your strategy accordingly, as well as recognize the real demand flow that is affecting your particular property. - Static data, which represents a one-dimensional “snapshot” of a property’s current condition (occupancy level, ADR, RevPAR, OOO rooms, groups, etc.) for any given date in the past (final end-of-day numbers) or in the future (current state, on-the-books). - Dynamic data, which is more informative and volumetric. It describes what happened during some period of time and how the property has reached the current state. It is more like a “historic video” rather than a snapshot. An example of such data is booking pace (or pickup dynamics) that reflects the speed of sales. This data can also be obtained for past as well as future dates that already have reservations on the books. “On July 4, 2018 your occupancy reached 70%, you need to increase your rates by $10″. Making pricing decisions based on occupancy alone is absolutely incorrect and can lead to great revenue losses (see this article for more information on this topic). When using internal data, demand fluctuations should be measured through the property’s booking pace (pickup dynamics). Unfortunately, most Property Management Systems are built in a way that does not allow for the tracking of booking pace, so managers have to manually accumulate daily pickup data. 2- Internal hotel data can be used alone and still help hoteliers achieve great results in terms of YOY RevPAR growth. This can’t be said about external market data. Everything stated above does not eliminate the need to be aware of the external market information in order to have a clear understanding of what is happening in the area/region, and how your property is positioned in it. Macro-level data can be used to provide additional details for adjusting/correcting pricing decisions or when internal data is not available or not significant enough to be successfully analyzed (i.e. for smaller-size properties). While internal data has higher priority, both categories are important and both need to be in the equation when calculating optimal prices that lead to profit maximization for your property.